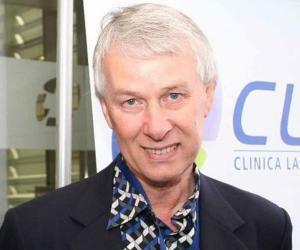 Richard J. Roberts is a Nobel Prize winning English biochemist and molecular biologist. Check out this biography to know about his childhood, life, achievements, works & timeline. Richard John Roberts is an English biochemist and molecular biologist who was felicitated with Nobel Prize in Physiology or Medicine for his discovery of the mechanism of gene-splicing. He shared the prize with Philip Sharp who independently carried out similar work in the field. Roberts’ fantasy with chemistry started as early as in high school. He was so interested by the subject that he chose to make it his career. Following his graduate studies and doctoral thesis, Roberts made his way to Harvard and eventually the Cold Harbor Laboratory. It was at the laboratory that Roberts first found success in restriction enzymes. 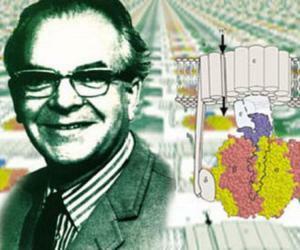 By 1972, he discovered or characterized almost three quarter of the world’s first restriction enzymes. Later in 1977, Roberts demonstrated how RNA can be divided up into introns and exons, after which the exons can be joined together. The discovery was crucial as until then the scientific world believed that genes comprised of unbroken sketches of DNA. The discovery had important implication for the study of genetic diseases. Furthermore, it allowed different parts of the gene to be brought together in new combinations. 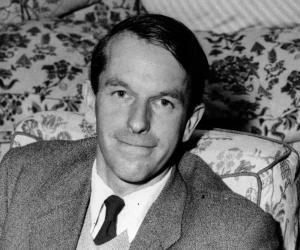 Richard John Roberts was born on September 6, 1943 in Derby, England, to Edna Allsop and John Roberts. His father was an auto mechanic by profession while his mother was a homemaker. When young Robert was just four, the family shifted to Bath. There, he attended the Christ Church infant school and later St Stephen’s Boys’ School. It was at Stephen’s that Roberts developed a passion for logic and mathematics. He was encouraged by his headmaster, Mr Broakes who would spend hours producing problems and later helping Roberts solve them. Completing his elementary studies, he attended City of Bath Boys’ School. Early on, Robert aimed at becoming a detective but when he was handed a chemistry play set, he changed his mind. His chemistry play set was transformed into a large in-house chemistry laboratory that comprised of real apparatus and chemicals. He soon found his real calling in chemistry. Following his preliminary education, he enrolled at the University of Sheffield. 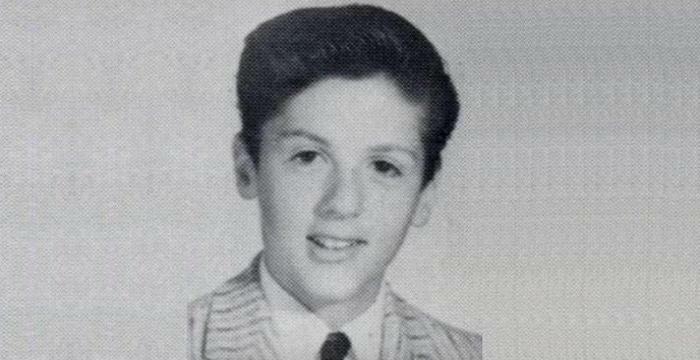 He graduated from the same with a Bachelor of Science degree in Chemistry in 1965. Four years later, he attained his PhD in the subject, his thesis being in phytochemical studies of neoflavonoids and isoflavonoids. While doing his Ph.D, Richard J. Roberts came across a book by John Kendrew that turned his focus to molecular biology. 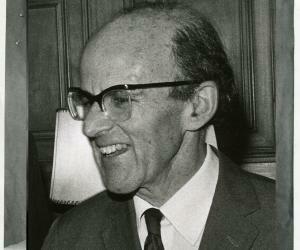 The book detailed the early history of crystallography and molecular biology focussing on MRC Laboratory in Cambridge. For postdoctoral studies, Roberts looked for a laboratory that would provide him the pathway into molecular biology. At Harvard, Jack Strominger offered him an opportunity. He engaged himself in the research work from 1969 to 1972. In September 1972, he moved to Cold Spring Harbor Laboratory where he worked under James Dewey Watson, co-discoverer of the structure of DNA. Same year, he attended a seminar by Dan Nathans who described an enzyme Endonuclease R that could cleave DNA into specific pieces. Roberts realized that Nathans' restriction enzyme gave an immediate way to isolate small DNA molecules. At Cold Harbor Laboratory, he made preparations of Endonuclease R and the few other restriction enzymes known then. By 1973, he had found superlative success in restriction enzyme. Almost three quarter of the world’s first restriction enzymes were discovered or characterized under his guidance. He had complied an enzyme collection that proved to be a valuable resource for scientists around the world. In 1974, Roberts was joined by Richard Gelinas to characterize the initiation and termination signals for an Adenovirus-2mRNA. The main purpose was to sequence the 5'-end of an mRNA, map its location on a restriction fragment, and then sequence the upstream region. Just before beginning the project, mRNA caps were discovered. The duo developed an assessment of the capped oligonucleotides. While working on the initiation and termination signals of Adenovirus-2mRNA, Roberts and Gelinas found that all late mRNAs seemed to begin with the same capped oligonucleotide, which was not encoded on the DNA next to the main body of the mRNA. Though they had biochemical evidence for the same, they did not have real proof. In March 1977, Roberts came up with the experiment that displayed the proposed split structure for Adenovirus-2mRNAs was accurate. Soon, the duo was joined by Louise Chow and Tom Broker. The four scientists aimed at visualizing the split structure by hybridizing an intact mRNA to its two different coding regions. Eventually, they came up with appropriate DNA fragments that were visible as split genes in the electron microscope. Before the discovery made by Roberts, scientists believed that genes consisted of unbroken stretches of DNA, all of which encoded protein structure. However, with his discovery, it was found that the discontinuous gene structure is the most common structure found in higher organisms (eukaryotes). In addition to having important implications for the study of genetic diseases, this structure is believed to drive evolution by allowing information from different parts of the gene to be brought together in new combinations. In 1992, Roberts moved to New England Biolabs. Don Cromb, founder and president of the establishment, had started the establishment mainly to produce restriction enzymes for commercial sale. Roberts started off as a chief consultant at the establishment and was no soon promoted as a joint Research Director. Richard J. Roberts’ most distinguished work came in 1970s when he successfully discovered split genes. The discovery was crucial and important in the scientific world as until then, scientists believed that the genes consisted of unbroken stretches of DNA, of which encoded protein structure. It was Roberts who established the discontinuous gene structure. Through his experiments, he proved that the segments of DNA that code for proteins are interrupted by lengthy stretches of DNA that do not contain genetic information. He demonstrated how RNA can be divided up into introns and exons, after which the exons can be joined together. This can occur in different ways, giving a gene the potential to form a number of different proteins. He was conferred with an Honorary Doctor of Science Degree by the University of Bath in 1994. In 1995, he was elected Fellow of the Royal Society. .
Roberts married Jean and has four children, namely Alison, Andrew, Christopher and Amanda. In 2005, the chemistry department at his alma mater, University of Sheffield, was later named after him.